The Centers for Disease Control and Prevention (CDC) estimates that over 3 million in the United States are living with chronic hepatitis C. Whether you’ve been diagnosed with hep C, or know someone who has, here’s a guide to the basics of hepatitis C.
Who is a risk of infection? How is hepatitis C diagnosed? What tests can patients expect? What are hepatitis C genotypes? How can patients manage hepatitis C? Can people become infected with a different strain of HCV after they have cleared the initial infection? What are statistics about hepatitis C? Approximately 29,178 cases of hep C occurred in 2013 (after adjusting for asymptomatic infection and underreporting). The acute phase is the initial phase of HCV. Without treatment, approximately 15-25% will clear the virus on their own. Many will be asymptomatic. Approximately 20-30% of people in the acute stage will experience symptoms. HCV will become chronic in 75-85% of those infected. Many people with chronic HCV can be asymptomatic. Liver Disease ranging from mild to severe (including cirrhosis) can progress for several decades without symptoms. HCV Antibody Tests – A simple blood test that can detect HCV antibodies. A positive antibody test means the person has been infected at some point. An HCV RNA or Viral Load Test must be used to detect if the person is currently infected. HCV RNA or Viral Load Test – These are tests to see if there’s an active HCV infection and the amount of HCV in the blood. Viral load tests are used before, during, and after HCV. There are three types: HCV RNA PCR, bDNA assay, and TMA. Genotype Test – A genotype test is used to determine the specific type of HCV. Your genotype will impact your treatment options. Liver Biochemical/Function Tests – These are blood tests used to assess how well liver is working. Once diagnosed with HCV, patients should be tested for liver disease and severity. If you have been diagnosed with hepatitis C infection, your doctor will test you to determine the genotype of the virus that you have. ‘Genotype’ means genetic variation in the DNA of the virus. At least 7 distinct genotypes exist, with more than 50 subtypes. Genotype 1 is the most commonly found in the US. Genotypes do not change during infection. Until recently, HCV was usually treated with peginterferon and ribavirin. Fortunately, there have been (and continue to be) many new developments in treating hepatitis C.
Since 2014, The Food and Drug Administration (FDA) has approved several direct-acting antivirals (DAAs) for the treatment of HCV. DAAs work by targeting specific steps in the viral life cycle. Some DAA medications include Harvoni, Olysio, Viekira Pak, Danklinza, Epclusa, Zepatier, Vosevi, and Mavyret. 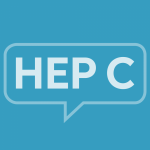 Epclusa, Mavyret, and Vosevi have been approved for the treatment of all hep C genotypes. While older treatment regimens have cure rates around 50%, DAAs have cure rates between 92 and 100%. The American Association for the Study of Liver Diseases (AASLD) and the Infectious Diseases Society of America (IDSA) provides suggested treatment guidelines for hepatitis C treatment by genotype.3 The recommendations can be found here. You can also learn more about hepatitis C treatments by genotype here. For the most current information regarding approved HCV treatments, visit the FDA website. Healthcare Team – Your healthcare team, such as a primary care physician and infectious disease specialists (gastroenterologist and/or hepatologist), will help you to treat and manage your hepatitis C.
Nutrition – The liver processes and detoxifies everything you drink and eat, so a balanced diet is recommended. Alcohol – Studies have shown a heavy consumption of alcohol can severely accelerate HCV progression. Your healthcare providers may recommend that you avoid alcohol. Medication – Many medications (prescribed or over-the-counter) must be processed by the liver, so it’s best to check with a doctor before taking any medications or supplements. Fatigue – Fatigue and low energy levels are quite common. Managing energy levels can help, as well for planning for naps and periods of relaxing. Stress – Many patients experience increased symptoms during periods of stress. Exercise and stress management techniques (such meditation) can help. Viral Hepatitis - Hepatitis C Information. Centers for Disease Control and Prevention. Franciscus A. A Guide to Understanding Hepatitis C 2015. HCV Advocate. Published July 2015. HCV Guidance: Recommendations for Testing, Managing, and Treating Hepatitis C. American Association for the Study of Liver Diseases and Infectious Diseases of Society of America. Updated June 28, 2015. Accessed August 4, 2015.